Bebo Valdés and his album “Bebo de Cuba” have won a prestigious Jazz Award, which was awarded by the Jazz Journalists Association at their 10th annual ceremony. The award won by the Cuban musician was Best Latin Album of the Year, beating such artists as Ray Barretto, Eddie Palmieri and Poncho Sánchez. The Jazz Journalists Association is a prestigious organisation which has brought together over 400 jazz specialists (musicians, producers, composers, record executives, managers, concert promoters and journalists) for over twenty years, culminating in the annual Jazz Awards. This latest award won by Bebo Valdés adds to the collection he has won over the last few years, in which time he has consolidated the admiration and respect of the entire world, who have queued up to pay their respects to this veteran musician born 87 years ago in Cuba. This year, the album “Bebo de Cuba” has won the Grammy for Best Traditional Tropical Latin Album. This was the fifth Grammy Bebo Valdés has won in the last five years, joining those won in 2005 (Latin Grammy for “Bebo de Cuba”), 2004 (Latin Grammy for “Lágrimas negras”) and 2002 (Grammy and Latin Grammy for “El arte del sabor”). “Bebo de Cuba” is a double CD+DVD produced by Fernando Trueba and Nat Chediak which consists of two great works: “Suite cubana” and “El solar de Bebo”. On “Suite cubana”, Bebo Valdés takes charge of composition, arrangements and musical direction on a work for 21 musicians. 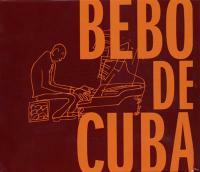 “El solar de Bebo” was composed, arranged and directed by the Cuban artist for a smaller group of 11 musicians.